The international conference this year will be held at University of Manchester, UK. We are looking for submissions by 31st May 2019. Please send your Title, Authorship, and abstracts to wmansell@gmail.com. For further details, click here. A theory ahead of its time? 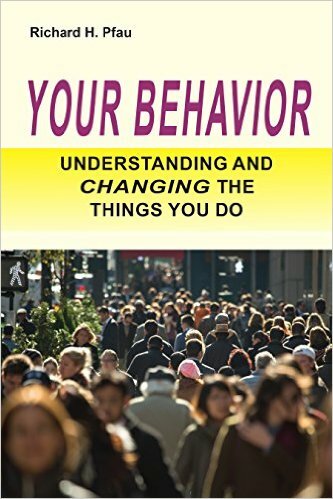 In 1973, William T. Powers published 'Behavior: The Control of Perception'. The book formalised the theory he had been developing since the 1950s, and now it is unifying the physical, life and social sciences. The book is available at livingcontrolsystems.com. The demonstration above has recently been the topic of research - over 300 people 'fell' for the illusion, revealing the validity of a PCT account of behavior. You can also try out a whole range of interesting ways to illustrate perceptual control on Gary Cziko's website. You don’t have to pay for it. It’s for everyone to use. The timetable and abstracts are available here. The powerpoint slides for the event are available here. For further information about the BABCP SIG, go to their website. Finally, please click here to read Kieran Lord's review of the conference. The proceedings of the 2007 CSG conference at University of Manchester are available here. Click here to read more about the latest popular science book on PCT by Rick Marken and Tim Carey. Rick Marken has also produced slides for a book talk delivered at Antioch University. 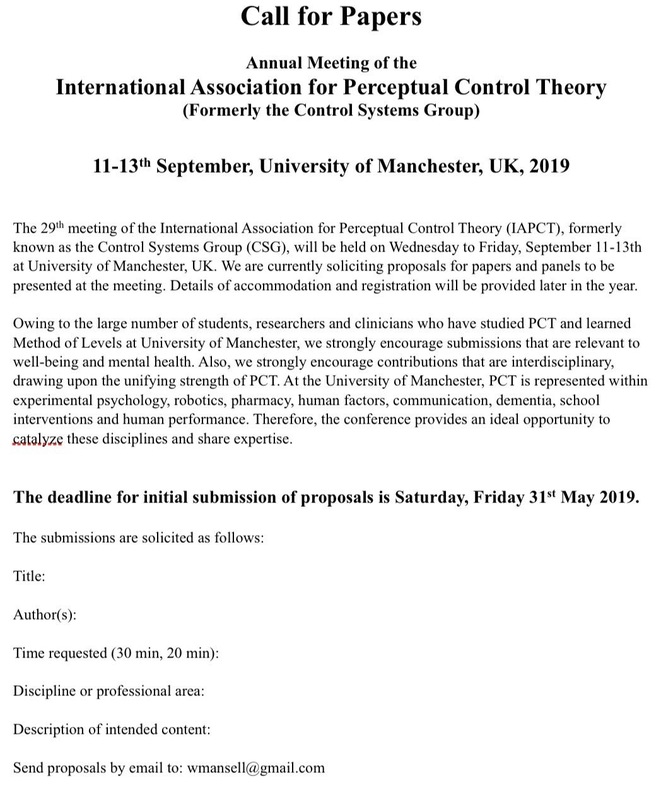 If you use PCT in your work or studies then please sign up to our public list by clicking here. The current list is available, updated Jan 2017- here. We are making this available on PCTWeb to show the international uptake and applications of the theory. There are regular discussions on CSGNet, which is described at mindreadings.com. The archive of CSGNet discussions is available at pctresources.com. Rick Marken produced the following talk on PCT at the European Institute for Reality Therapy conference in Bled, Slovenia, October 2016. In the YouTube video below, Warren Mansell explains the benefits of taking a PCT approach to teaching psychology in this TEDx talk at Burnley College in 2012. For the audio & powerpoints of Rick Marken's presentation on research methodology, click here. The current evidence base for PCT, accumulated over the last five decades to the present day, is summarised in a downloadable working document that will be updated regularly pending its publication as a review. Feedback is welcome. A working document of published papers on PCT and its application to mental health is also available here. This website was designed by Mike Marshall and is maintained by Warren Mansell. If you have any comments, queries or suggestions concerning the website, please find his details here. What do the experts say about PCT? What do students say about PCT?